I am writing to request your organization join the petition below to voice your support for communities across India who are fighting to stop the privatization of their water. 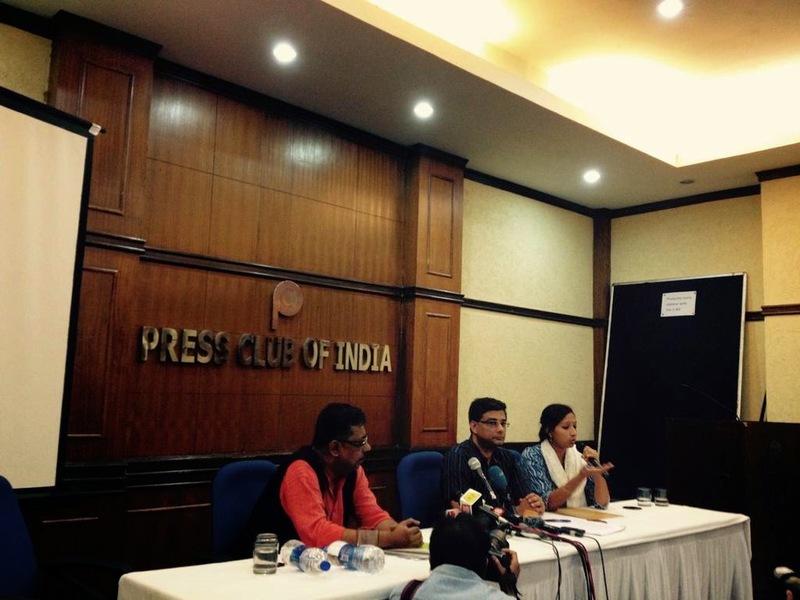 Your support for this petition will strengthen our movement in India by demonstrating international solidarity, increasing visibility, and building pressure on the World Bank to end its support for this privatization agenda. To sign, please DO NOT reply, but instead send your organization name and country to waterintern@stopcorporateabuse.org by January 11, and please help us circulate the petition! Though we have been fighting the privatization of water in Nagpur for years, the World Bank and water industry are promoting Nagpur as a success to the world. Today, this model of water privatization is being replicated in hundreds of cities across India, promising to devastate communities across the country. Our coalition in Nagpur will not allow this to continue unchallenged. We need your help to expose and oppose this privatization agenda. Please help us send a strong message to the World Bank to stop supporting water privatization across the globe, and recognize the failures of water privatization in Nagpur, India. To learn more about what is happening in Nagpur, please see Manthan Kendra's website, this Expose developed by Corporate Accountability International in partnership with Nagpur Municipal Corporation Employees Union, media coverage of the Pinocchio Award given to Veolia by 5 NGOs for its abuses in Nagpur, and the Nagpur case on the Water Reinitialization tracker. Thank you for your solidarity and commitment to water justice, now! Petition: World Bank and corporations out of water in India now! Water is our most essential public resource, and it is vital that it be managed by public utilities for the public interest, not private profit. The World Bank continues to promote and fund water privatization despite the failure of this model around in globe, in cities from Nagpur to Manila, Cochabamba to Paris. For years, the World Bank has promoted corporate interests at the expense of human rights, worker’s rights, public health, the planet, and democratic principles. Now, the PPP model in Nagpur - which the World Bank was instrumental in establishing and promoting - is being used as the model for expansion to hundreds of other cities across India. A failed model is being knowingly forced on to Nagpur and that is why the failure in Nagpur is also being camouflaged under false reports and awards. This is extremely dangerous because the Nagpur PPP has been fraught with many well-documented problems, including price hikes, water shutoffs, delays, multiple breaches of contract, allegations of corruption, and exploitation of workers. If plans remain on course, this failed model will be replicated all over India, with terrible results for people, public health, development and democracy itself. We stand in solidarity with communities in Nagpur, India who are challenging the disastrous water privatization project in their city. And we stand with people across India demanding an end to the World Bank-supported plan to roll out the failed Nagpur model to hundreds of Indian cities. We demand the World Bank end its promotion and financial support of all forms of water privatization and acknowledge the failures behind its glossy public relations. 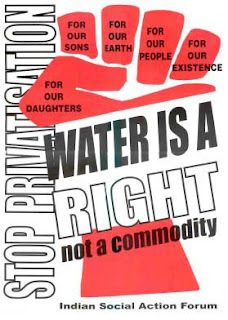 We stand in solidarity with people in Nagpur and across India demanding water for life, not for profit, now!